Join Alex Moore, senior partner at Stratagon, in a two-part series that will help you develop a digital marketing strategy for your business. You'll learn to attract the right customers through defining your target audience, keep them happy and informed with valuable content, and delight them for continued success through on-the-ground sales tactics paired with measurable analytics. Let's get, keep, and grow your customer base one click at a time. Persona Development - Who are you targeting? Discover how to define and develop your ideal customer. Data Inventory - What do you already know about your audience? Learn how to use your current contact database to leverage next steps for growth. Key Performance Indicators/Measurements - How do you actually measure ROI for marketing? Measure your results using the right tools and use analytics to iterate or update your strategy. Digital Tools to Reach Your Target Audience - Where should you spend your time online? Unpack the art of the possible through tools in marketing automation and apply it to your business. Leverage Sales and Marketing Teams - Are your marketing tactics aligned with your sales goals? Find out how to grow your customer base by working together and clarifying goals on and offline. Leader of the Marketing and Technology practice at Stratagon, Alex has more than 20 years of experience in marketing and business management. With extensive experience resolving both corporate and local business challenges, Alex is well-seasoned in helping clients across a diverse set of industries meet their sales and marketing goals and objectives. He considers himself an eternal student and believes in utilizing marketing and technology to bring people, processes, and products closer together. 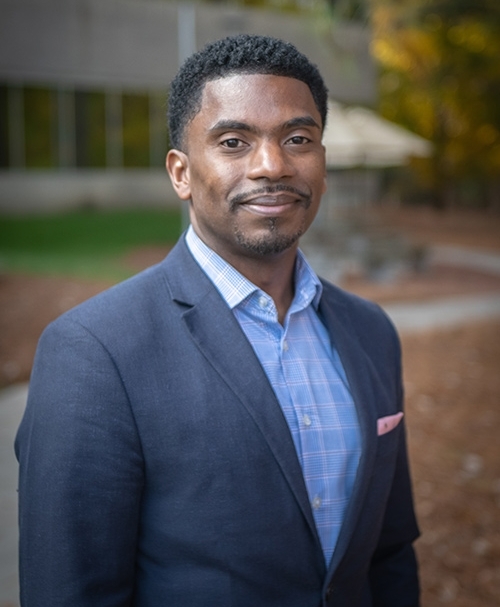 He holds a BS in Agri-Business from Delaware State University and an MBA with a focus in International Business from the Bryan School of Business at the University of North Carolina, Greensboro. Alex has also studied abroad and earned a certification in Marketing and Sales Excellence from I.N.S.E.A.D. in Fontainebleau, France. He is an adjunct marketing professor at High Point University, coaches multiple sports, and supports several non-profit organizations. He resides in High Point NC, where you’ll find him spending time with his wife and two children.